TSTRANSCO JPO Recruitment 2018 will start on 11th September 2018. Candidates who are interested in working with Telangana Government, they can apply for the Transmission Corporation Of Telangana Limited Advertisement 2018 for the Junior Personnel Officers (JPO) vacancies. The higher authorities will accept the application forms on or before 25th September 2018. On this page, we had furnished the complete information about the TSTRANSCO JPO Recruitment 2018 like Educational Qualification, Age Limit, Selection Process, Salary, Application Fee, and Process for filling the application form. After getting the idea on every information about the ట్రాన్స్మిషన్ కార్పొరేషన్ ఆఫ్ తెలంగాణ లిమిటెడ్ Notification, eligible aspirants can apply quickly. For more data about the tstransco.in JPO Recruitment 2018, candidates need to read this complete article. Applicants who are interested in applying the TSTRANSCO JPO Recruitment 2018 for Junior Personnel Officers posts, they can apply in between 11th September 2018 to 25th September 2018. If any of the application forms received after the end date, those applications will be rejected by the officials of Transmission Corporation Of Telangana Limited. Every year this departments will release the notification for various posts. So, there will be huge competitions between the contenders. Because of that, the higher authorities have given some criteria like education qualification, age limit, application fee, etc. Contestants who have the eligibility criteria, they only will apply for the TSTRANSCO JPO Recruitment 2018, For more details visit our site that is Sarkari Recruitment. Initially, every applicant has to check the educational qualification before applying for the TSTRANSCO JPO Recruitment 2018. Aspirants who are having the essential requirement, they may apply. For details about the TSTRANSCO JPO Recruitment 2018 go through the official notification. Educational Qualification: Must hold First Class B.A. / B.Com / B.Sc. Degree of a recognized University in India established or incorporated by or under a Central Act, Provincial Act or a State Act or any equivalent qualification and approved by the Government of Telangana. After checking the eligibility criteria of education qualification, candidates need to check the age Limit. Because the aspirants who are having the acceptable age limit given by the officials of Transmission Corporation Of Telangana Limited, they only have to apply. Candidates should have the age limit correctly as per the date 01st July 2018. For more details check the official notification for TSTRANSCO JPO Recruitment 2018. Age Relaxation: The Upper age limit prescribed above is relaxable up to 5 years in respect of SC/ST/BC candidates and up to 10 years in respect of Physically Handicapped candidates. The officials of Transmission Corporation Of Telangana Limited are selecting candidates for Junior Personnel Officers based on the Written Test. There are no further rounds for the TSTRANSCO JPO Recruitment 2018. Based on the Merit list shown in Written test, the officials of ట్రాన్స్మిషన్ కార్పొరేషన్ ఆఫ్ తెలంగాణ లిమిటెడ్ are hiring the suitable candidates. The payment can be made through online by visiting the link Make Payment. Initially, visit the official website of Transmission Corporation Of Telangana Limited that is tstransco.in. Go to the Whats New section and click on that, the other page will open. 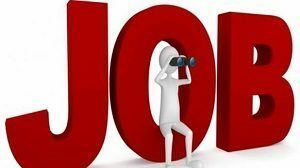 In that click on the TSTRANSCO JPO Recruitment 2018 link. Read the complete details in TSTRANSCO JPO Recruitment 2018 Notification. If you are eligible, fill the details in application forms like Name, Gender, Date Of Birth, etc. Recheck the details and click on apply button. Download the TSTRANSCO JPO Recruitment 2018 application form. Here, our team Sarkarirecruitment.com had furnished the exact details about TSTRANSCO JPO Recruitment 2018. For any doubts, aspirants can comment in the below sections.